Cold Steel Code-4 Spear Point S35VN(58PS) High quality Cold Steel knives, throwing knives, tactical knives. There are very few things in life as comforting as knowing you are carrying a good knife. Many of our friends and colleagues in Law Enforcement talk about how they're always looking for that one faithful, reliable, lightweight knife that can become a permanent part of their every day load out. When designing our new Code 4 series we took inspiration from that feeling of reliability and developed a knife that we believe is destined to become the standard embodiment of dependability. We created an ultra-thin, ultra-light, highly functional utility knife that is incredibly comfortable to carry all day. It won't weigh down your uniform or provide the kind of unnecessary bulk that may cause you to leave the knife at home, causing you to be unprepared in your time of need. Invariably, the best knife for the job is the one you have with you! 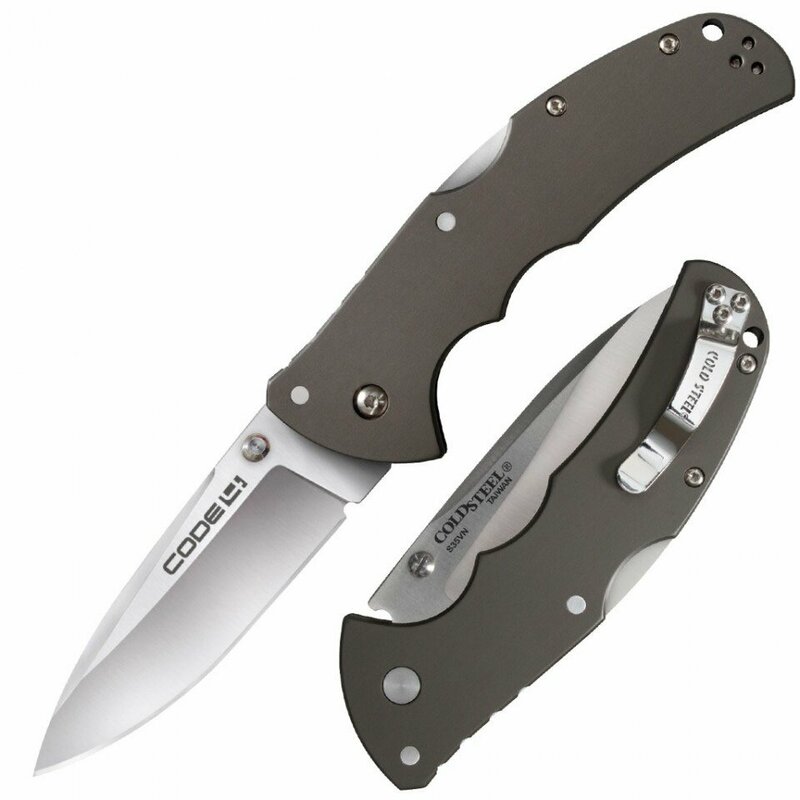 Available in a variety of blade configurations, with an ambidextrous pocket clip and thumb studs, the Code 4 series feature sturdy, hard-anodized gun metal grey 6061 Aluminum handles, the unparalleled strength of our world renowned and exclusive Tri-Ad lock and high satin polished, razor sharp S35VN blades.